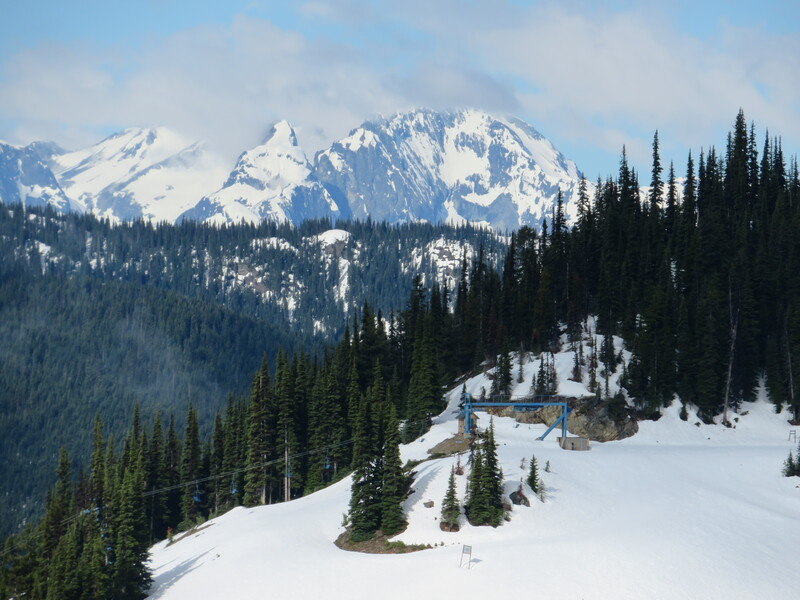 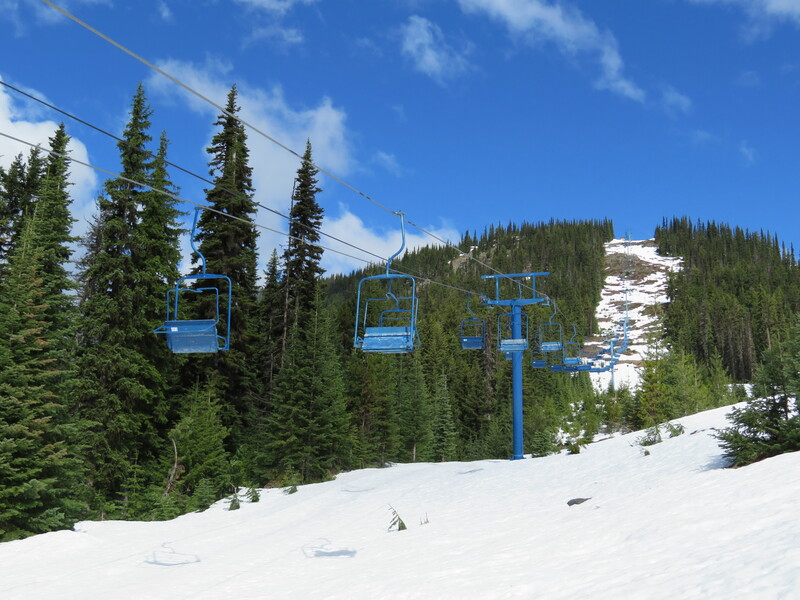 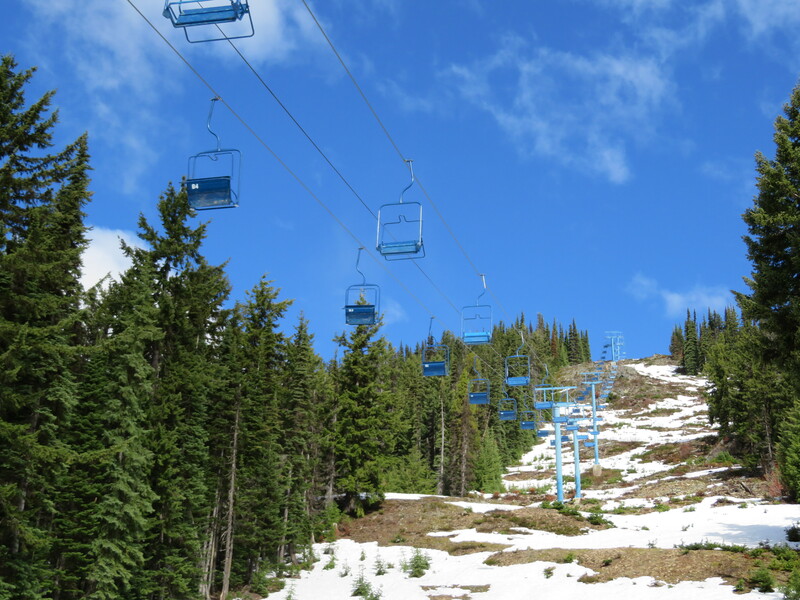 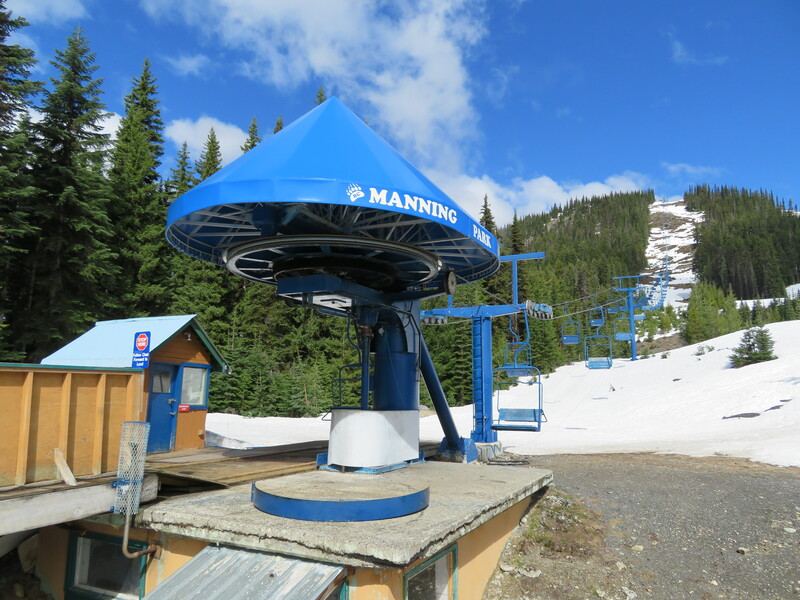 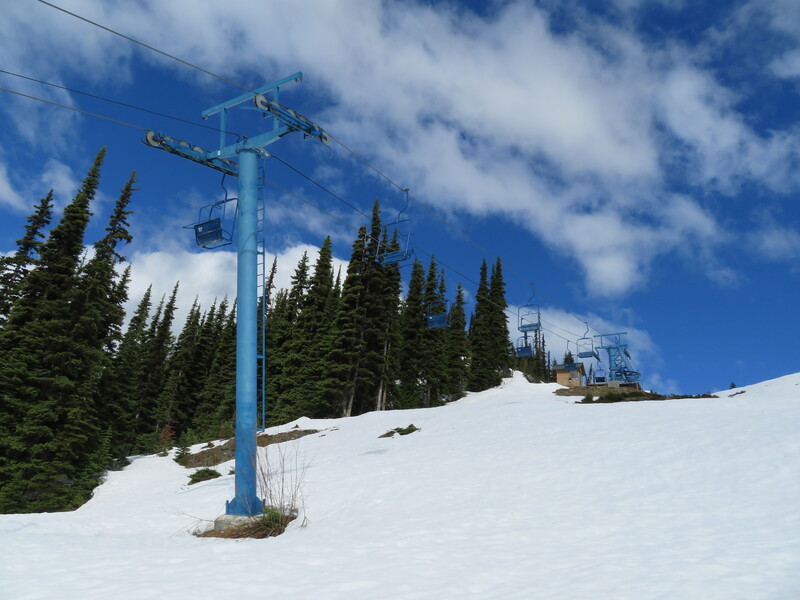 Both chairlifts at Manning Park are among the last remaining Murray-Latta chairlifts. 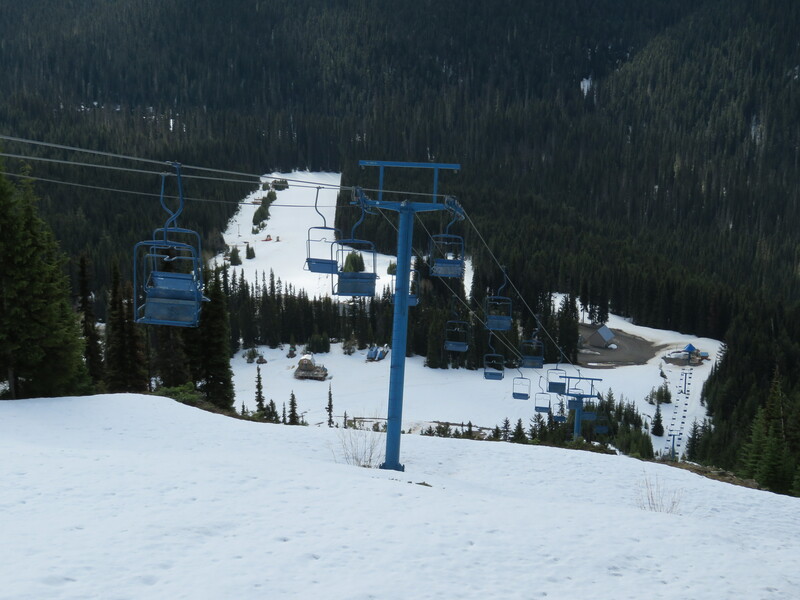 Blue was the first one at Manning Park, built in 1967. 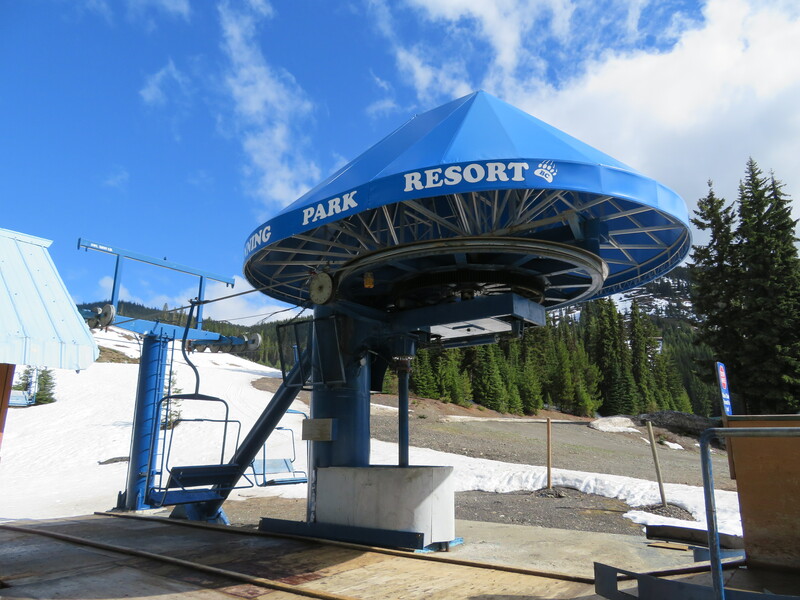 The top terminal has a counterweight for tensioning. 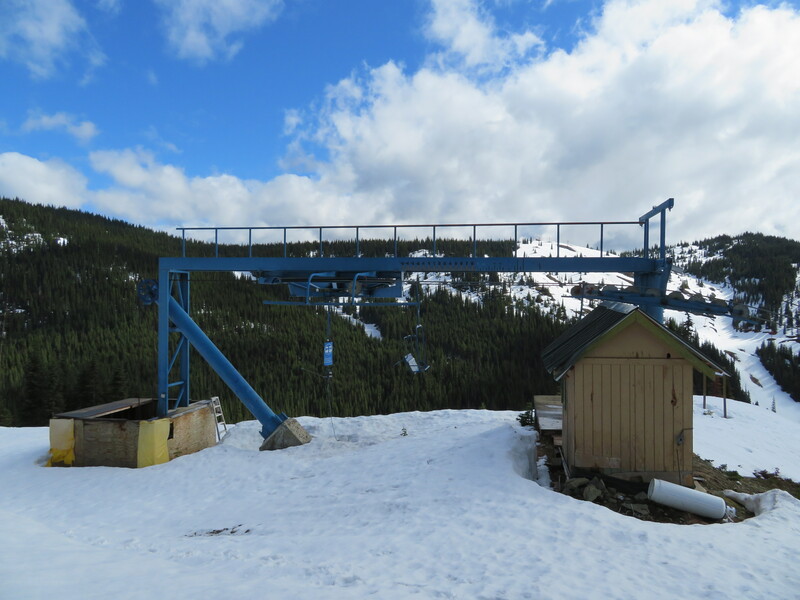 Overview of the top tension station. 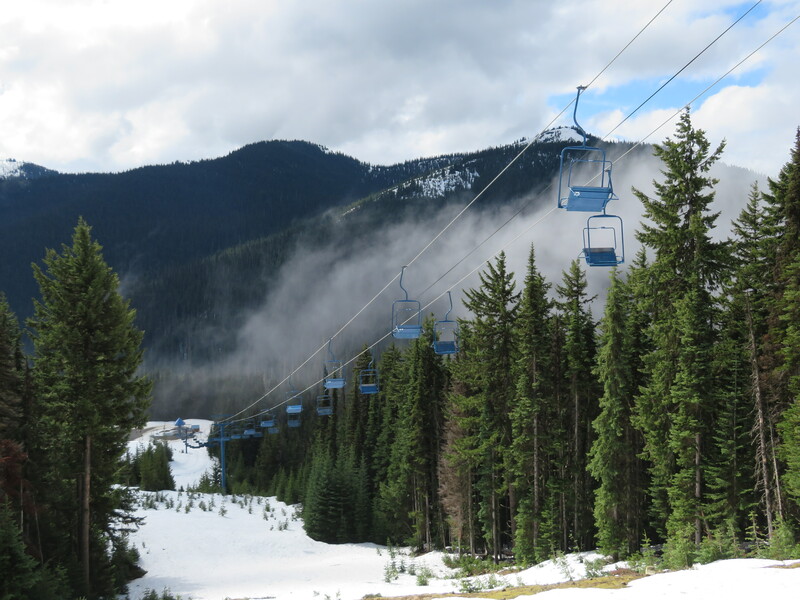 Another look at the lift line. 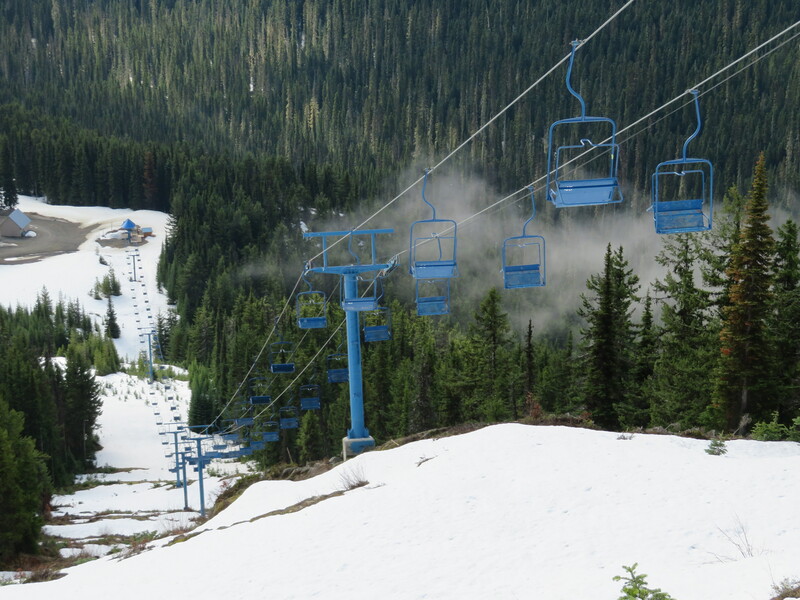 Mellow lower section of the line. 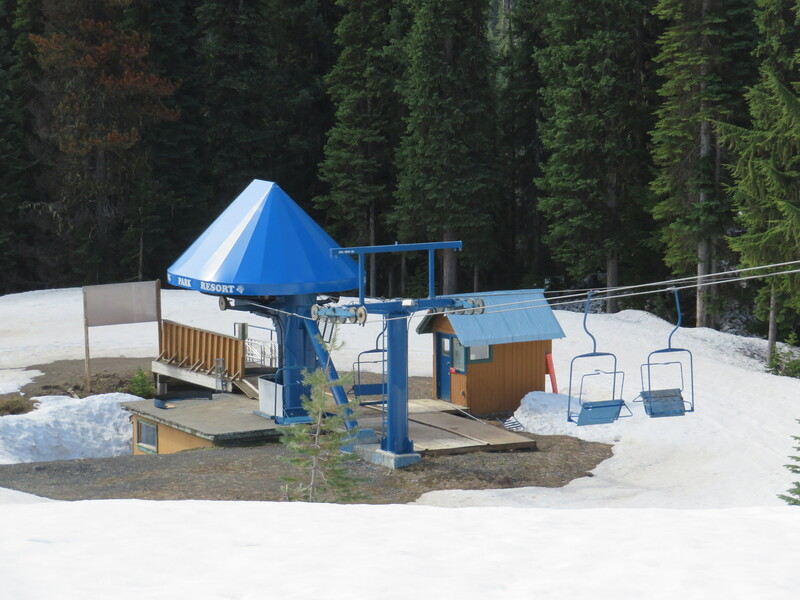 View up from the drive station. 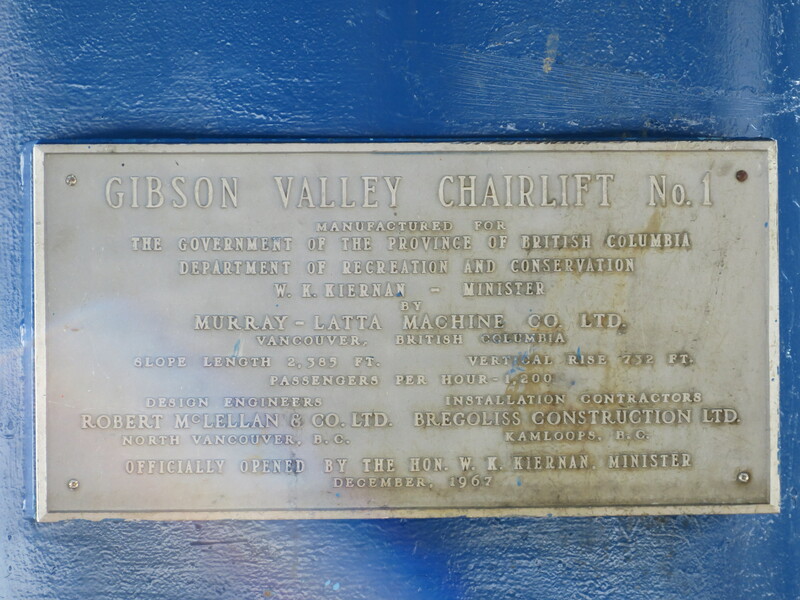 Murray-Latta plaque. 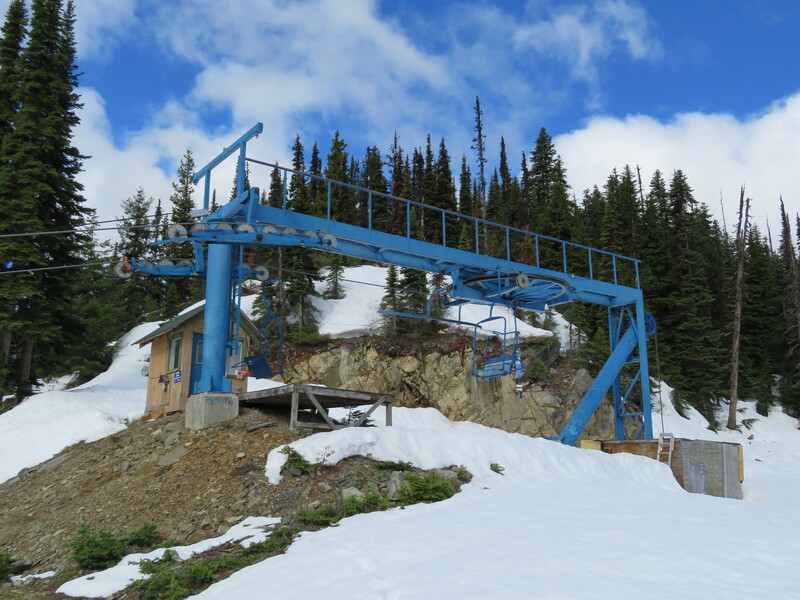 The company is still located nearby but doesn’t manufacture lifts.